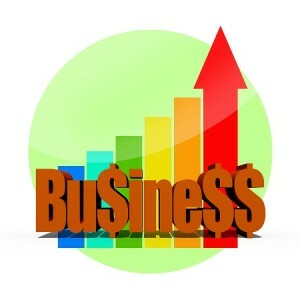 There are numerous benefits to making your business appear larger than it is. The first impression your company exudes can set a lasting impression on those you meet. Many consumers won’t pay any attention to your products or services if they are unsure your company will last. Whether you are a very small business, solopreneur, or freelancer, these tips can make your business seem larger! Use a contact management tool to keep track of all potential clients, important information, and topics of conversation. Contact management programs can also track email history, keep related files in one place, and allow follow-up schedules to be set, giving your clients the impression that you have an excellent memory and are extremely organized. Try a scheduling program to organize meetings and appointment requests. These tools show clients open times in your schedule without revealing the details of your plans. Once a mutually agreeable option is found, the appointment will automatically show on both of your calendars. This saves both parties the hassle of the back-and-forth to determine availability. Set-up a virtual business phone system to greet callers professionally and transcribe voicemails into emails. Many of these services will also allow you to select your own phone numbers, giving you the ability to have multiple local numbers or a personalized toll-free number. This adds to your business credibility. Also, having multiple business phone lines, with personalized greetings and a routing system, makes your organization feel larger, even if all calls ultimately wind up being handled by you! Take the time to hire a professional to design a fabulous logo and website. These are often the first marketing tools customers see. Make sure they are helping to solidify your reputation and assist you in turning leads into clients! Utilize social media – a lot. Having more real followers on your company’s social media channels will add legitimacy. Don’t forget to take the time to actually chat with your fans, customers, and leads – building community is key. Incorporate personalized, relevant emails into your marketing efforts. Have them launch depending on actions customers (or potential customers) take. For example, if they haven’t visited your website lately, send a friendly reminder and a shipping discount. Or, if they’re new to your product or service, have a series of emails welcoming them to your company and demonstrating the benefits. Make sure your email address has a company domain associated with it. And, consider having more than your first name as the address. A longer address ([email protected]) can imply multiple employees. Remember the importance of establishing credibility in your local and virtual communities. Attending meetings and hangouts can introduce you to a wide array of individuals and reinforces that your company is real. Share your knowledge by giving presentations, answering queries, providing interviews, and recording videos. These opportunities allow you to show your customers that you have the knowledge to help them solve their problems! Do you have any tips to add for your fellow business owners? We’d love your feedback. This entry was posted in Small Business, Virtual Phone Systems and tagged business image by Heather. Bookmark the permalink.